New York Newsday, 1994. 1. 4. 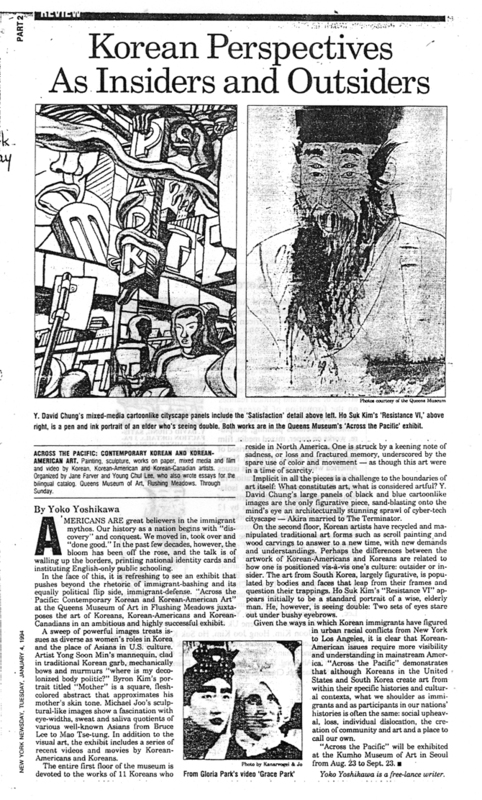 Yoko Yoshikawa, “Korean Perspectives As Insiders and Outsiders”, New York Newsday, 1994. 1. 4.